ICD is made up of a group of independent commercial component factors, working together to provide a comprehensive, fast turnaround parts distribution network. We are an independent motor factor selling specialised truck & trailer components, consumables & engineering services & solutions. A massive stock holding ensures that our customers are never kept waiting. We will never compromise quality over price. Many of the components we sell such as steering, suspension and braking products are safety critical items. We have always strived to supply parts from original equipment manufacturers so our customers can be assured that parts purchased from us will be fit for purpose. We are strictly trade only suppliers to the motor trade, truck operators, plant operators, offshore industry, oil service companies, marine engineers, shipping & ship chandlers. Customer service is part of a very simple philosophy that we have applied to business since the day we started. Treat people, as you would like to be treated yourself. This applies to our outlook on everything, stock, service, personal contact, administration, credits and warranties. Fleet Factors, established in 1975, have 256 employees and over 21 depots with an additional 16 service points. The management and staff are dedicated to the company and it is their passion and commitment that enables their teams to produce a secure, pleasurable and successful future. At Fleetwheel, by utilising the latest technology in cataloguing, we can minimise your down time by identifying and locating your spare parts correctly and efficiently. Our sales team are friendly and always ready to help get you the correct parts, however large or small. LCP have been specialising in the Manufacture and Distribution of Original Equipment components for all types of vehicles for over 50 years. Our vast product range, excellent service and experienced staff keep us well ahead of our competitors. Original Parts from all leading suppliers ensures your vehicle is being fitted with the latest specification component that will be competitively priced and help keep vehicle downtime to a minimum. Throughout our seven strong branch network, we offer more than 20,000 parts featuring some of the best known brands in the industry. Our service to customers is paramount and we offer a first class delivery backed-up by superb technical support, range and availability. We are a family run business that since beginning trading in 1979, has grown to become a leading supplier of truck, trailer and bus spare parts and accessories. Our knowledgeable and experienced staff offer a local, fast and friendly service from our four depots. Our aim is to continuously build strong relationships with customers and suppliers, to ensure we offer the best service possible at the most competitive prices. Truck & Trailer Specialists Ltd offer a wide range of Original Equipment spares to the Road Haulage business and are committed to finding you the right parts quickly, helping you to keep your fleet on the road. Our direct access to technical information, vehicle registration recognition system and original equipment part number identification systems allow us to establish the part you need easily and precisely. Truck Parts North Wales is a family run partnership that was established 21 years ago. Over the years the business has been recognised for its integrity and customer service and has developed long term relationships with Public and Private sector organisations including Emergency Services (Blue Light) as well as having very positive relationships with an array of parts manufacturers and distributors. 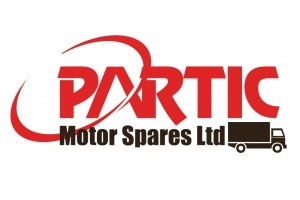 WRIGHTPART have been in trading over 40 years, providing truck parts and trailer parts and are now a leading supplier of commercial vehicle spare parts and components – a family run, independent company who provide a fast and friendly service. If you require truck parts or trailer parts or service for any vehicle, whatever the quantity, we can meet your needs, and fast!